I sang the lead vocal for "Revelation" a few weeks ago - so the vocals and lyrics are DONE. Since then, I've been slammed with a bunch of work at my day job, and also mastering work for people. I finally had some time though to get back to working on "Revelation" - and overall, I'm really happy with how it's coming together. I think it's probably 99% finished. I've been making lots of mix tweaks - that's what takes me so long. Writing songs goes a lot faster if the production isn't integrated into the songwriting process, but I do both at once, and sometimes I get bogged down with production. For example, any Cure fans out there? You know the song "Plainsong"? At the very beginning there are the chimes, and then there's that huge explosion of music coming in... and there's a crash symbol, and some kind of chimes mixed in there. The crash and chimes combine to sound so powerful... and they ring out for probably 5 seconds. It sounds amazing. When I work in The Twilight Garden, I'm always trying to create things that sound amazing to me. I can't copy The Cure or any of my other favorite bands - so I try to come up with sounds in my own way... but to create epic things like that just takes me a really long time. I'm not the best producer on earth by any means... So I sift through thousands and thousands of samples, and drum sounds, and synth sounds - endlessly looking for something to help build the transitions in the song exactly the way I want them to be. The "Song" Revelation is done... but this production work - sometimes it takes forever - because it's so tough to find sounds that are EXACTLY what is needed. The closer a song/production comes to completion, the more difficult it becomes to put something into it. On Saturday, I spent the entire day in the studio - probably 12-14 hours or so... I did nothing but work on mixing "Revelation", and I spent hours and hours sifting through sounds to try to pull the final production into shape. I'm struggling with crash symbols and effects at the moment. Anyway, I talked to a friend about it - he's going to have a listen and see if he's inspired to add anything. He's really super talented and has a great ear for percussion and that kind of thing. If it works out, great. If not, I'll finish it myself somehow. Either way, this song is VERY close to being done. I don't think it will be much longer now. As far as everything else in life, I'm doing a little better lately. In my last post from August, I was feeling kind of down... In the springtime, my X moved out of the state and took my baby dogs with her, and it was really getting to me. The breakup with my X was tough (4 years ago), but I adapted over the years and found a way forward - and I am ok. The pups were one of my greatest sources of affection still though. I would visit them usually once per week - maybe every two weeks or so. Over the summer, without them there suddenly, I found myself in a void. They used to be so happy when I'd arrive... they'd run in circles around the house, and jump into my arms yelping... and they'd lick my face over and over... They'd really celebrate. It really made me feel so special and so appreciated. With dogs, that kind of thing seems so natural and so easy. I don't have kids, and they pretty much felt like my kids - or how I imagine I might feel with kids. My new life has to go on without them now though - they're gone, so I don't have a choice in the matter. I've been hanging close to my friends - and that's been a huge help. Thanks guys - and girls :-) I do have a tough time sometimes with intimate affection through people though - which is strange, because it's something I long for more than anything probably in life. I feel so shy though sometimes... I prefer life with close friends, and I prefer to be in an intimate relationship as opposed to single... but I don't want to just jump back into something if it's not with the right person - so I'm trying to be cautious and patient. Also, I know I'm not perfect either - finding someone who can tolerate me is quite a challenge in itself! Life is short though... and despite my music - despite how you might imagine me based on my songs, I absolutely prefer joy to gloom - and I prefer love to lovelessness. My music has tended to focus on the negative in the past. I think I found it easier to express something "powerful" when it involved heavier emotions, and so I'd focus on those things to spin out my lyrics. I'm not always like that though. I'm not some morbidly depressed guy by any means. I'm exciteable, hopeful, and filled with dreams and desire and passion and faith. I don't know where all of this is going, but it's looking like I'm on a pretty unique road. I'm gonna make the best of it. I think it's going to be a great road filled with excitement and fun and lots of blessings. I'm always trying to make something beautiful and memorable in this life - for myself because I love creating, but also for the people around me - fans, friends, family, or an intimate someone. Based on some of the messages I get from people, it seems I've succeeded at least a little in that way - however small - and that means something to me. Well - I was just thinking I should share myself a little instead of disappearing for months on end. Hopefully next time I post I'll have a finished song and progress on some others. Wish me luck... thanks for caring and for reading all of this. Thanks for supporting me - and for supporting The Twilight Garden. I'm going to try to make it as awesome as I possibly can while I feel like I've still got something to give - and I've got a TON of ideas I want to get out there to share with people. If only I just had more time! - or if I could just work faster somehow! A friend is trying to convince me to do a VLOG - post "videos" of me talking - instead of just typing NEWS. What do you think? Should I make the next post a video? The idea makes me a little nervous though... :-) Have a great week everyone! 5) Sundrops - **NEEDS WORK** - (25% complete) - needs a lot of work - it's just a basic concept, but the main synth riffs are there... It's VERY beautiful - ultra atmospheric... peaceful. Sounds a tiny bit like Joy Division... very touching. 8) Untitled - **NEEDS WORK** - (75% complete) - most of the music is done, and some demo lyrics are done. I'll probably rework the lyrics though - I'm not totally happy with them right now. Also, I'd like to refine the music a bit more... It has a really cool sounding chorus though. When the chorus synths come in, it really lights up the song - grinding bass and really swirly synth parts during that section. 10) Untitled - **NEEDS WORK** - (25% complete) - fast aggressive electronic song - quick synth arps, and a really cool lead part... needs a lot of work though, but I'm excited about what this one will become. It's very catchy! The last couple weeks, I've been really depressed for some reason - and I've barely been in the studio at all. Life has just changed so much in the last few years, and there have been some things in the last 6 months that have changed massively, and much of the light in my life disappeared. It's tought for me to make music when I feel down... When I'm creative, I'm creative out of inspiration - inspiration and excitement motivate me, and they end up leading where I go. For example, if I come up with a song I'm really excited about, that excitement will propel the work on the song. When I'm depressed, I can't get excited... everything sounds like garbage to me and I therefore have nothing to contribute - to a song, to a relationship, to the world or anything. That's one of the things I've been fighting against lately. With that in mind, there have been little pieces of inspiration that will suddenly come out of the blue, so in little bursts of light, the creation of this album somehow proceeds. In the last 2 weeks, there have been very few - but just this morning, I had a realization that lead me to an inspiration. Song G is the one I'm working on lately - the title track. It's been haunting me - the one I've been trying to finish. In my inspiration this morning, I just made a couple more tweaks to the lyrics - and these tweaks have now propelled the song into the stratosphere of what it is supposed to become. I thought they were done before, but they weren't yet done. I truly believe that now, THEY ARE DONE. With that, I have some news. Song G is now called "Revelation" - and the upcoming album is now called "Revelation" as well. This song is going to push a lot of buttons. It's going to piss some people off - some may hate it... but I know it is going to reach a lot of people. I believe these are the best lyrics I have ever written. BOTH of the last two songs ("Revelation", and "The Sun Drops") have been the toughest lyrics of my life to write. "The Sun Drops" is about reaching probably the lowest place in my life - and "Revelation" is a path forward - the only path I can see now. I have been unable to find any other way. Anyway, I still have to sing to "Revelation", so things can always change - anything could happen still. I could suddenly have another burst of inspiration and delete the song... or I could try to sing it and have a heart attack and die in the middle of the vocal. I'm not going to worry about it anymore... these news updates for you guys are really just my best "guess" at where things are, and where things are going. Nothing really matters until we actually get there does it? I can talk about mowing the lawn all I want, and I can mow one corner of it and admire how well I did that corner, but until the entire lawn is complete, it's really kind of laughable and premature to try to celebrate the accomplishment isn't it? It's just dust in the air - nothing real. YET. STAY TUNED. I avoided the studio for the last couple weeks. I'm not sure why - other than I felt "off" somehow mentally. I didn't really feel able to work at my best. Finally today, I somehow found some fire inside to get in there and get working again. I started working on Song G where I left off last time - vocal production and backing vocals. I did some basic backing vocals today - no big deal. Then I started working on the main vocal production sound I will be using when I track the lead vocals, and while doing that, I discovered I had to remix the whole song to be able to fit the vocals in the way I want them. I spent the entire evening mixing, and the song changed pretty significantly (but in a very good way). It sounds pretty awesome :-) I believe this pre-vocal mix is done now and it's ready. The vocal pre-production is also finished. IT IS TIME TO SING. I'm burnt tonight, so the final vocal performance will have to be another night - but everything is ready for what comes next. I hope to have good news in the not too distant future... The muse is a strange thing though. Sometimes everything pours out instantly, and other times it's a dripping faucet. It is what it is - I don't really mind if it's fast or slow. It's more important to me that it feels right when it's done... that a song becomes what it should become. Sometimes that takes a lot of patience and a lot of perseverence. It will be worth it though. Some very special things are happening. This album is like a double edged sword - sharp, and it will cut it's way into the world to be hated or loved, ignored, or cherished, whatever - It will be something special to me at least. Once it's done, my work will be done and I can move on with my life to whatever comes next. This album has been hanging on to me - following me around like tape stuck on me or something... it didn't want to let go. I wanted to move forward - I wanted to find peace - and this album was pulling me back into the past. Thankfully it's finally coming together. Now, part of it is from the past, and part is from the present. It's a transitional album. That transition may or may not be reflected in the track order. I haven't decided yet. I'm tempted to just say screw the album flow, and just put everything in the order in which it was written. I'll think about it. Well, that's enough rambling for tonight. I'm tired. Goodnight everyone - hopefully I'll have more to share soon. I worked today on the vocal part for "SONG G"... my vocal chords are completely wiped out. This is the most difficult of any TTG song vocally that I've ever done. The range is high, and the intensity is over the top - my voice can only sustain it for a short time. Also, the production is really difficult as well... I was able to build a sound that's close to what I want, but I'm going to have to refine it somehow - to make it better - more clear and a bit less harsh. ALSO, I've had an idea for some backing vocal parts ever since the lyrics were completed, and I debated doing them first, but without the lead vocal, I wasn't sure exactly how I wanted to do them. Something good has come of today at least - I now have a true demo vocal recorded that goes through the whole song - with FX that are close to where they should be - so that means I can now build all of the backing vocals and other effects (so that's what comes next - before doing the true final lead vocal part). My voice is going to need some rest and time before being able to pull off the real lead, but if I can get all of the backing parts recorded and in order, and make sure they all sound awesome, then it should be all the more inspiring when I go to sing the final vocal. UGH... this song is BRUTAL, but it sounds incredible... 180bpm, high energy, epic strings, huge reverb, real bass guitar with distortion... fast drums with spastic fills. Wish me luck - this track has amazing potential I think. I just have to put in the time and work and not give up... If it turns out the way I want, then it has earned it's right to be the title track. Oh yeah - one last bit - a friend of mine will likely be recording some vocal samples for this track - to complete the idea (I don't think it should be too tough). That won't happen until all of my vocal work is done though. There's still quite a bit to do, but things are moving forward - wish me luck! I tried singing to song G - I think it's going to work, but the vocal parts needs further development, and I couldn't get the FX/sound into shape. I've been working on that, and working on how I want to perform the vocals. It might be tough to perform because it's very fast, and in a pretty high range. If I can get it down though, I think it should be pretty awesome! :-) ALSO, I started working on song J... I've been working on lyrics for it, and also working out the vocal melody/phrasing... The idea is beginning to come together, so I'm getting pretty excited about what this track will become. In my head at least, it sound AWESOME. I'm not sure yet, but there's a chance at least that Song J may end up being the opening track on the album. It's too early to be sure yet though. Hopefully I'll have more news in the very near future! SONG E = working title = "SUNDROPS" (song 5 below) - Yes, this song is called "sundrops", and SONG D is "the sun drops". I had a creative breakthrough last night - song G now has finished lyrics, and the music is done as well - I just have to sing it. The album now has a title, and this will be the title track. SONG 4 (titled "The Sun Drops") = DONE. This song was incredibly tough to finish. I kept trying to put more parts into it... kept trying to make mix adjustments. I didn't like anything that I was adding though... at the end of a month of trying new things, I stripped everything out of it and kept it super simple. It doesn't need any more. It NEEDS to be simple - this song demands it. This song came from a really tough place, and it was finished as such. It is 12 minutes & 12 seconds long... repetitive, atmospheric, heavy... It's done and over. It's time to move on. Song 1 (95% complete): The working title on this one is "black and blue". All of the music has been recorded... the lyrics are written and the vocals have been recorded. I want to change one small part of the lyric, so I have to re-sing one line, but other than that, this song is finished... This song is downtempo... very heavy in mood and tone. Song 3 (95% complete): The working title on this one is "real life". All of the music has been recorded... the lyrics are written and the vocals have been recorded. I want to make a couple small mix adjustments, but other than that, this song is finished... This song is a bit lighter in tone and more accessible... medium tempo. Song 4 (75% complete): No title yet - need to work on lyrics... 95% of the music is done and recorded. This song is very fast - 180 bpm - high energy and rocking... has real bass guitar... I like this one - feeling very excited for what it could become. Song 5 (25% complete) - needs a lot of work - it's just a basic concept, but the main synth riffs are there... It's VERY beautiful - ultra atmospheric... peaceful. Sounds a tiny bit like Joy Division... very touching. Song 6 (75% complete) - most of the music is done, and some demo lyrics are done. I'll probably rework the lyrics though - I'm not totally happy with them right now. Also, I'd like to refine the music a bit more... It has a really cool sounding chorus though. When the chorus synths come in, it really lights up the song - grinding bass and really swirly synth parts during that section. Song 8 (25% complete) - fast aggressive electronic song - quick synth arps, and a really cool lead part... needs a lot of work though, but I'm excited about what this one will become. It's very catchy! Song 9 (75% complete) - This song is the 12 minute long monstrosity I referred to earlier... It's nearing completion. I think I may have finished the lyrics tonight. I guess it's ready for vocals... I'd like to record a piano part and a big guitar solo thing in the outro - thinking on those parts now... This song may be the first or 2nd song to reach completion - possibly in the very near future. Song 10 might beat it to the finish line though... will see. The working title right now is "love and soul". Song 10 (99% complete) - I think this one may be done, but I'm still thinking it over... Lyrics are done, vocals are recorded... all music is recorded - it's mixed, etc. It's medium tempo... very visual lyrics... beautiful and poetic. The music is weird - the synths pads have this strange grinding scraping character... It's a very cool track. I like it. Vocals for song 4 == DONE. This song was one of the toughest songs for me to do vocals on that I can remember, but I think it turned out good. It's the first song I've done complete vocals for in The Twilight Garden since "Hope" was made in 2012. It was really tough - not because it was difficult to sing (maybe a little bit), but for a few other reasons... Out of the 10 songs I have demos for, 3 had final vocals already finished, and 6 had no vocals at all (just melodies in my head), but this track had a vocal demo that had been improvised when the original song was made. I thought the original vocal demo had amazing energy, but it was not intelligible... So I had to write lyrics, and then perform in a similar way to the original demo - with that same energy from 4 years ago. That's always difficult for me - to recreate the right vibe. I think I did it though... ALSO, I was able to salvage few of the lines from the original take in 2014 - so those pieces will make it into the final version. I'm glad... This song comes from a very difficult place for me. It's not flashy... not extraordinary or complicated... but I remember how I felt when I created it. It comes from a very dark place... 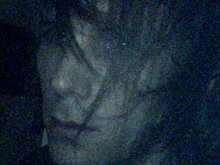 In 2014, just after the west coast tour with Velvet Acid Christ / The Twilight Garden, I started having extreme dizziness that would not go away. For weeks, I could barely walk... and I was on the verge a panic attack constantly... and when the dizziness would get really bad, it would throw me into a full on panic attack - and I'd feel nothing but terror... but there was no escape. Nowhere I could run to - no doctors could fix me... nothing would help. This song was the only piece of music I made during this time - and the vocal demo was done then as well. It's powerful for me - because I know what I went through - the heartbreak and terror of that time - and I survived. I look back on it now, and I hear my life in this music - my energy - everything I am as a person - I hear that energy fighting with everything I had against something it seemed would crush me. This song feels like the pinnacle of a battle to me, and yet it's slow... atmospheric... repetitive and droning... If I didn't write about the experience here, you might never know otherwise. Anyway, getting the vocal sound right was very difficult. Getting the lyrics right was very difficult as well - I probably wrote 10-15 versions of lyrics - editing them and reworking them, and trashing them and restarting, and pushing and pulling bits into shape until it finally came together... and the content of the lyrics is kind of a combination of everything that was happening. My wife of 14 years left unexpectedly in 2014. When I did this vocal, not only was I having the vertigo, but I knew something was wrong in the relationship. There were walls that would not come down, but I couldn't fix anything no matter how I tried... so I guess the it's a breakup song... It's about things falling apart - mixed in with all of the anxiety and fear that new and constant dizziness will add to life. This song will never be popular. I might never play it live... I don't know. It will probably matter to nobody but me... but for me it matters. It means I survived - not only the dizziness I was having, but the heartbreak that was coming as well (thank you God for somehow getting me through everything). It's not a victorious song - just the opposite actually, because most of the song is told from the perspective back then - as everything was falling apart. It's only victorious in that I finished it now afterward. I survived, and I finished it... and I'm moving on. I have tons of life and energy still left in me, so with this song, I let the past become the past. It's time to look to the future. 4 songs on the album are now done (well, this one almost). The next 6 have no vocals, lyrics, or vocal demos. That means everything now will be new - it's time to move forward. Thanks to everyone who was there for me during the tough times - even those who just showed me little kindnesses - that they cared - smiles and good conversations with acquaintances, friends, loved ones and family. I'm going to try to finish up song #4 now - there's just the mixing, and maybe a little more synthesizer work and percussion work, but I don't expect anything super difficult. Hopefully in the near future, I will have another post with song #4 done, and info on song #5. MORE SOON! HUGE NEWS! In addition to the one song that was just finished a few days ago, TWO MORE songs are now 100% COMPLETE = DONE! 3/10 ALBUM TRACKS ARE NOW 100% FINISHED - ON TO #4!! The way these came together: I tried making the mix adjustments I wanted on "real life", but I didn't like the sound of it... it changed the vibe of the track too much. I decided to mess around in mastering, and the track fell right into place... It sounds awesome. :-) After that, I looked at "start the dream"... the mix already sounded amazing... absolutely no need to mess with it any more. I just finished mastering it, so it is also DONE. This mix sounds HUGE... So psyched!!! Time to head back to the studio and start thinking about the next track. SONG 1 (black and blue) = COMPLETE!!! THE ALBUM IS OFFICIALLY UNDERWAY! I am mastering as I go as well, so that track is 100% DONE. I recorded a vocal part tonight for song1 (black and blue). It is now probably 97% complete. This is the first time I have done any vocal work for The Twilight Garden in almost 5 years... I was a bit nervous about it because of that. This song had most of the vocals done in 2013 or 2014, but there was one line in the lyric that always bugged me, and I intended to replace it. It was really tough to get the right energy and the right sound - because I had to match the sound from 5 years ago when I did the vocals. Tonight, just for a single vocal line, I think I did about 60 vocal takes before I was happy with my performance. It's perfect though - exactly as I intended - and so the lyric I didn't like has been replaced with a better one, and the song inches closer to completion. I spent a bunch of time last night mixing it... I also recorded a background percussion part this evening for it. I think this song may need a few samples and possibly another background percussion part - but then it will enter the final mixing stage, and it will be FINISHED. This will be the first song I have completed 100% for the new album, and also the first new song to reach completion for The Twilight Garden since 2012 (when I finished "Hope"). I'll let you know how it goes, but with any luck this song could be done within a few days. More soon. 1) It looks like "A World We Pretend" is going to go out of print for a while... Projekt is cleaning house, and the album has sold most of what it's going to sell. Maybe at some point in the future I'll consider making it available again, but for now, it's done. Work on the new album is proceeding. There are currently 10 songs for it - not 9 as I previously thought. Lately, I've been working on two songs at once... I was in the studio all of yesterday evening working on these two. One of them was just a demo before - far from complete (one of the 30% songs mentioned below). That song is now probably 75% complete. The music for it is 95% done - it just needs lyrics, and I have already started on lyrics for it. This song is a monstrosity - different than anything I've ever done... epic, huge sounding, slow and atmospheric... it's like 12 1/2 minutes long... I started writing that one shortly after I first started having vertigo regularly. It comes from a pretty dark place, and it will be finished as such. It is not a hit - it will never be a hit... it's just about human experience - survival, fear... It's pretty heavy. The other song I've been working on has 95% of the music complete, and the lyrics are also 95% complete. It's medium tempo - atmospheric and poetic, but it rocks more - is very powerful and the end is really climatic. I like bringing things to a powerful climax, and this song does exactly that - working toward it gradually. Hopefully with any luck, I'll be able to do vocals for both of those tracks in the near future... and they will be DONE. If I remember, I'll try to post a more accurate status update for each of the 10 songs soon so you can follow as things proceed. With any luck, I hope to have more news very soon! I'm not sure how long it will take me to finish everything, but I want you to know that I intend to try to do this - starting pretty much now. I'll post either here or on the ttg website as things progress, and I'll post this message on the TTG website right now as well. Once again, thank you all so much for your feedback... I need it and appreciate it. I'll do my best to try to be as honest and expressive as I can be... even if it sometimes exposes my weaknesses... I guess art sometimes results in that whether I like it or not. I'll try to honor the energy and the sound that it seems you enjoy... I think there is some good music inside me still. Listening to some of these new songs gives me chills. I think that's a good sign. With any luck, I will have more regular updates on The Twilight Garden moving into the future. Thank you for not forgetting about me - I know I pretty much disappeared for the last 5 years or so... so my voice may not be too loud lately, but I'm still here. 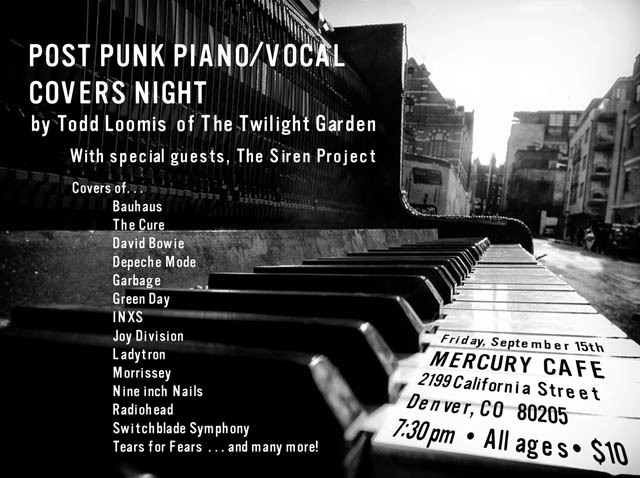 I'm playing a piano / vocal concert @ The Mercury Cafe on September 15th, 2017. Doors open at 7:30 PM - the show is all ages, tickets are $10. GET TICKETS HERE! 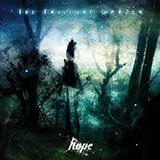 A new album by "the twilight garden" is now in the making! The first song is done (well, a tiny bit of production still). The second and third songs are in the works! The Twilight Garden won't be playing any shows in 2014 (probably) so the focus can remain on the writing process... People have asked for snippets to hear. I might post something as the album gets a bit further along - more soon! 1) We are on tour! - dates HERE! NEW SINGLE "RECONCILE" (release date TBA) - with remixes by Velvet Acid Christ, Toxic Coma, Amoryth, and Patrick Hogan of Synapse. Also includes a remastered version of "Reconcile", and some previously unreleased material by The Twilight Garden. It's $4.90 and you get 7 tracks. What a deal! Check it out HERE! WE ARE TOURING AGAIN! DATES NOW ON THE TOUR PAGE HERE! 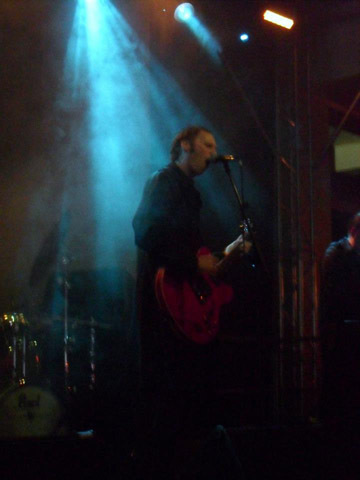 The Wave Gotik Treffen 2013 in Leipzig, Germany was AMAZING! Special thanks to Rose Mone for sending pictures (all pics here of The Twilight Garden). The trip was incredible. 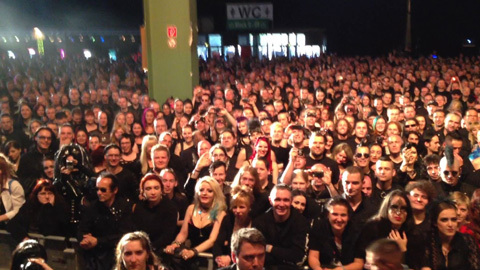 For anyone who hasn't yet attended, the Wave Gotik Treffen involves thousands upon thousands of gothic people gathering in the City of Leipzig. They come many different countries. I'm not positive, but I "heard" it is actually the largest gothic festival in the world. It's overwhelming - and so cool! Many of the people dress to their absolute best, and they look absolutely amazing. We were really happy to be there. We really enjoyed meeting and talking with many many people. We ate indian food almost every day... we walked around Leipzig and enjoyed the sights - the huge gothic crowd, the beautiful architecture, etc. We saw some incredible concerts... It was awesome! I have always wanted to see IAMX live, and I LOVED their show! They are amazing - do not miss them if you get a chance. Also, I thought KMFDM was incredible live. 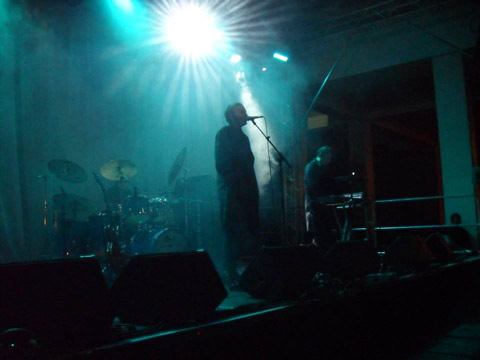 In addition, we went to see Hypnoskull at "Altes Landratsamt" on Friday (where we would be performing in TTG just a few days after). Hypnoskull put on an amazing show - the PA sounds amazing with powernoise - like it is on the edge of just exploding to pieces - very powerful and cool! The Birthday Massacre was great - very energetic and fun to watch. There were many more concerts we went to - so great! Anyway, check out the pictures below. We leave in just a few days for Germany! 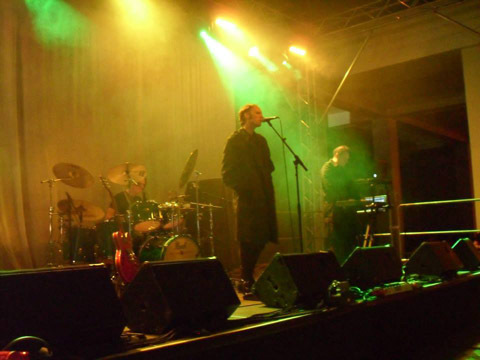 We will be playing the Wave Gotik Treffen 2013 festival. Todd Loomis, Bryan Erickson, and Chris Kutz will be playing in both The Twilight Garden AND Velvet Acid Christ. Click HERE for scheduling information. We are really excited to be travelling to Germany - and to be sharing the stage with some amazing bands. We hope to see you there! Thank you everyone who came out and supported our west coast tour! The new album comes out in a week and a half. A tour is definitely happening now... shows will be announced very soon now... Please buy the new album to show your support. Thank you to everyone... I'm excited to see you on the road in your respective city! The Twilight Garden Touring? - quite possibly in the not too distant future! I have made amends with Bryan Erickson from Velvet Acid Christ so we are now discussing the possibilities. I will likely play in Velvet Acid Christ as well during the tour. Currently, it looks like we will go south, then west to the Pacific coast, and all the way north up to Seattle. This is to be followed by an east coast tour a bit later... then possibly some cities in Canada, Mexico, and Europe. More detail soon! IT IS DONE! The new album is complete, and it has been sent off! The official release date will be announced in the very near future! More info very soon! Song 11 of 12 mixed!!! Song 11 happens to be the title track of the album. It will appear in position 4 on the final product. Mixing is now beginning on song #12 (the opening track of the album). All songs for the new album are now complete. Mixing and mastering will begin shortly! Vocals for 2 of the 3 final songs for the new album? = DONE. Vocals for the last song? 1/2 done. I will give another try on the last song soon, then the album is complete and mixing & mastering will begin. All songs for the new album = DONE (at least the songwriting portion). There will be 12 tracks. I have to sing vocals to 3 of them still... then I start final mixing & mastering. After what seems like forever, this new album is finally nearing completion. BIG NEWS! The final song on the album is done! The songs are now entering the production stage (final overdubs, mixing, and then mastering). 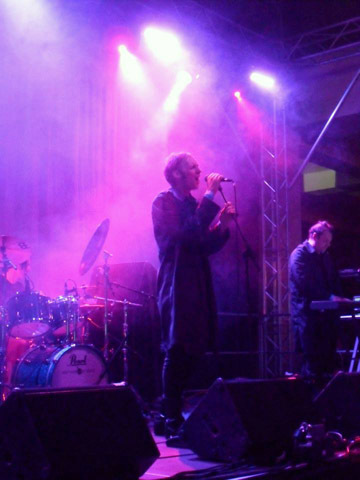 During this stage, I will be working with Chris Kutz (he will be playing drums on the album), and Patrick Hogan (Patrick will be helping with samples, and other various parts - guitar, synth, etc). Also, Tom Hagerman of Devotchka will be playing some string parts (violin, viola, possibly cello and/or other instruments). Chris and I are currently working out the final drum parts, and we should be ready to record very soon. After months of searching for the ideal art for this new album, I think I have finally found it!!! I am so excited! The new artist is insanely talented, and the new cover is going to be an incredible fit to the music! :) I am still in talks with him about the licensing now. I don't want to announce who it is until the album comes out, but I wanted to just share the update as things move forward... Things are getting close. More info soon on the progress of the new music! Today, Alyssa Gibson made some new banners for The Twilight Garden! :) Here are her links: @ Vampirefreaks.com OR @ Deviantart.com Find the new TTG banners on the home page by clicking the "HOME" link on the right - then scroll down. Progress on the new album? It is nearing completion... there are 2 more songs to do. Both are already in the works - one of them is nearly finished. Things are sounding really fantastic! I am starting to get really excited about everything on the horizon... More soon! For those who are not aware, I mixed and mastered one of the 3 cds (Water Music). Please check out his music and if you like it, consider purchasing it. Tom is one of the most talented musicians I know... He's amazing - REALLY! - and you will very likely love the CD collection. The new album is about half finished now - 5 songs are finished, and 2 more are in process. ALSO... A remix was done of the track "Dead Adults" from "a world we pretend". It is VERY club friendly... very electro & very danceable. More information coming soon regarding availability & credits on the remix. A lot is happening, and it will not be long now before all of this new material will be released. More soon! 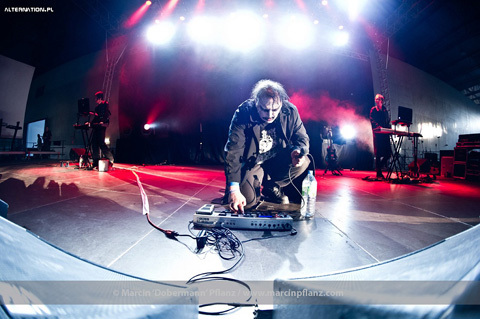 3) In regards to progress on the new album for The Twilight Garden, two songs are semi-finished. The reason I say "semi" finished? We're producing this album in a much different way than before. The songs are being written ahead of time, and the majority of the parts are being recorded immediately... but a bit of additional recording along with final mixing will happen when all of the songs are complete... There is a reason for this - which I will elaborate on at a later time. Both of the songs that are finished definitely sound like TTG, although, they have a different sound than "a world we pretend". I think maybe these are a bit "heavier" emotionally? Anyway... the production style is different as well. These tracks should sound amazing on a big PA/club system. They are not "typical" dance tracks by any means - but they should do well in the clubs because they should make the speaker system slam.